Water bottle labels for Weddings and Receptions. 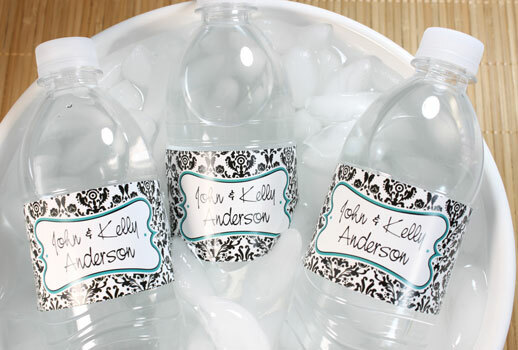 Waterproof personalized water bottle labels for weddings and receptions. Perfect for your summer outdoors wedding or for your party guests who need a refreshing drink of water. Custom labels can match your wedding theme and colors. Wedding water bottle labels are printed on a fully waterproof poly self adhesive label. Self adhesive water bottle labels are 2 inch x 8 1/2 inch will fit most 16.9 fl oz or 8 fl oz water bottle.